Not enough. Read Atlas, Fountainhead, TVoS, Anthem, listened to Piekoff. Still have a lot to learn. So self-destructive actions are by definition immoral, not because of some other philosophical principle? I will ponder that; not sure if I can buy it. Ah then, so you agree that the donut scenario might be immoral. Now we're getting somewhere. If so, and if I were really in this situation, then we could take the next step and identify under what context--which particular scenarios might be immoral. Currently, I am content to leave that as details that could be argued in a different thread. For the rest of this, let us assume I "cross the threshold" and I make the decision to engage in donut-eating to the extent it is immoral, as it harms my life overall. This is, to a degree, an "irrational self-interest" decision on my part. So back to my original question. It is immoral because I am choosing to act in accordance with a lower value over a higher one? This is how Rand defined "sacrifice" and labeled it evil. So, why is it immoral to choose a lower value over a higher one? I think I understand that one shouldn't, that it is unwise, that it is choosing to live with something of a contradiction--but that makes it an immoral act? Why? Yes--It is because I think so that I also think message might need to be nuanced and moderated so that more might be willing to consider it, even if it means they fall short of Rand's explanation in the end. Sure. I'm sure one with more interest could point to the factors that made Venezuela collapse but makes the U.K. or Sweden sustainable. I'm guessing it is because Venezuela tended to dictatorship and total socialism, even if via democracy. Did these societies (nations) fall, or just their governments? We still have Greeks and Italians today. Claiming that "all mixed economies will fail, and all fully socialist economies will too" seems a stretch to me in that we have many examples where it seems that many could credibly claim "so far, so good". A thoughtful lower-income person in Britain who has government assistance might be willing to give it up to save their economy, but there is no danger of that being necessary so they have no worry about their "mixed economy". Because it strikes me that it is holding Objectivism back from being taken seriously among many. That's a great question, and I think there could be many great answers. I would start by trying to think what might be a way to strip away bits of altruism as the apex of morality and instead get people to consider something other than the common Good [or the will of God] as the source of morality. I wonder if some kind of well-rounded, ethical individualism might have enough attraction among some to lead us into a better place. I don't suppose I would use the word "selfish" that Rand did, as it seems to me to have a misleading connotation, but I would like to push an ethical, others-respecting, kind, nice, generous, amiable individualism. There could be other, better approaches too--the above is merely speculating through typing. Neither--I think it is a flaw in that a philosophy ought to be compelling in its content to some degree. (I'm not claiming this makes the philosophy itself objectively wrong.) I wonder if an 80% pure (or any other degree) Objectivism might be more acceptable to more people and thus improve on the 80% altruism we seem to have today. Right, that's why I chose a scenario that is beyond personal taste: a potentially unhealthy decision. At some point unhealthy actions harm my life and therefore immoral under Objectivism. There, I get that. 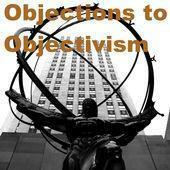 I agree that seems to be Objectivism. But my problem comes up in that, in matters of morality that are more obvious such as stealing from the vulnerable, the above approach is not used. Now I know Objectivists would say that is because a thief violates the victim's rights (life, existence, identity) and therefore it is a violation of objective values--an irrational act of self-interest. I just don't see a difference between the two scenarios: if I can rightly choose an unhealthy eating habit because my subjective (individual?) desire for enjoyment can override the small but significant health drawback, why can't I likewise choose to steal donuts so that my individual desire for free donuts can override the individual rights of another? Both are causing a degree of harm to a life in order to get enjoyment for myself. Can you help explain how these scenarios are different? Just had a related thought. Rand is fully expecting that her ideas will not get a fair hearing--after all, none of Kira, Roark, and Dagny ever had any platform or audience that fairly considered their ideas. In the few occasions when they could explain their motives, they were dismissed, ridiculed, or admonished. Am I wrong to hope for more than that? I don't know that I can accept never getting a hearing. I am more like Dagny in that I want to fight and struggle in the world, than I am like John Galt, picking up my ball and going home. Dagny eventually gave up and went to the Gulch--but I'd hate to resort to that now. I'm afraid it would be worse than continuing to build my railroad. I do think it missing from her novels of characters that are principled yet moderate. Maybe she hated the idea of such figures? Not every moderate is a Toohey, nor two-faced like Wynand. I am not sure, but I as of right now I might say "the philosophy has much merit, but people cannot accept its core teachings", which is in between your A and B but I think closer to B. It is difficult even to get a fair hearing, much less convince others, and it strikes me that I would like Objectivism to have a voice in the crowd. My point is really my honest questions in the OP and the "thinking by typing" that has occurred since and hopefully will continue. I don't think that is really right. Evidence, reason, science, and proof are terrible ways to persuade almost anyone. For popular explanations of this, see Pink's Drive and Heath's How to Change When Change Is Hard. I don't have to determine the other 20%, and obviously the 80% is an arbitrary number picked for argument's sake. I would very much like to see others get a few steps more toward Objectivism, and I can't help but think that interested folks hear "nothing but rational self-interest" and "no altruism" and it disqualifies us from being part of the conversation altogether. With regard to Medicare and Medicaid, I cite them as examples because Medicare was the exact example Rand gave in TVoS 10 that started this thread. I think we will have a better world, with things better set up for the self-interest of all involved, if the people move a few steps closer to Rand's position. I'm concerned that absolutism and the stand on "being right" prevent that from happening. It's really the same argument that some use against capital-L Libertarians: you want to legalize heroin, meth, and pimping, and you wonder why no one takes you seriously? I find this argument hard to refute.